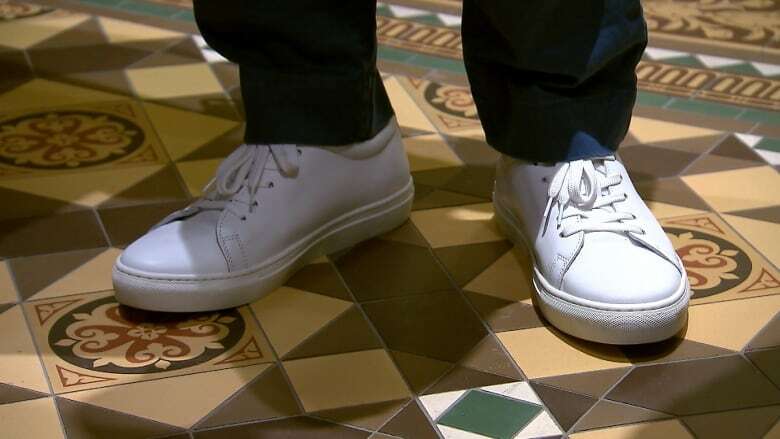 Jeans and sneakers in the National Assembly? 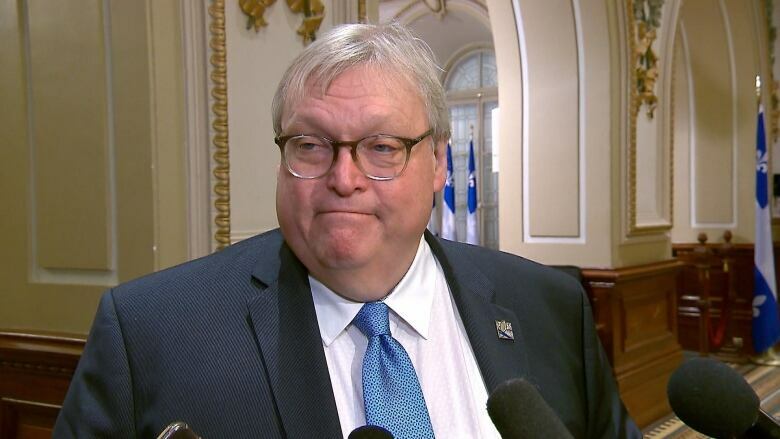 There's a debate going on in the hallways of Quebec's National Assembly: Should there be a stricter dress code for members of the National Assembly? Should there be a stricter dress code for elected officials in the National Assembly? 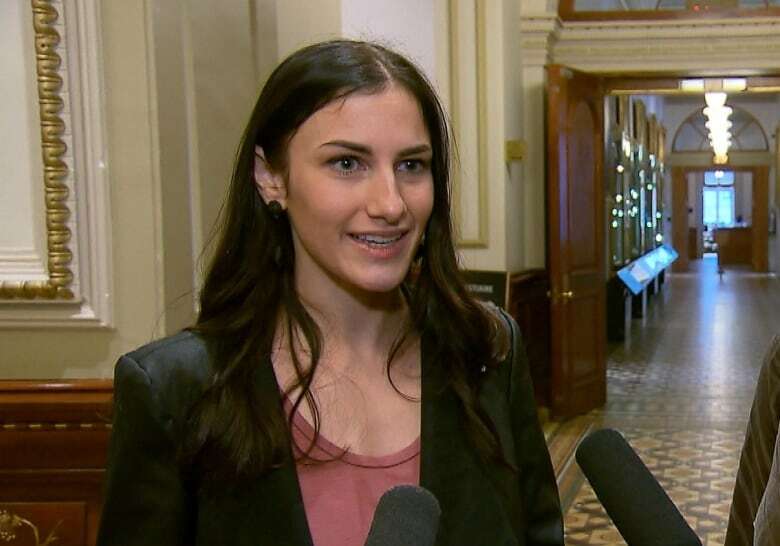 There's a debate going on in the hallways of Quebec's National Assembly: Should there be a stricter dress code for members of the legislature? The president of the National Assembly says he'll think about it. 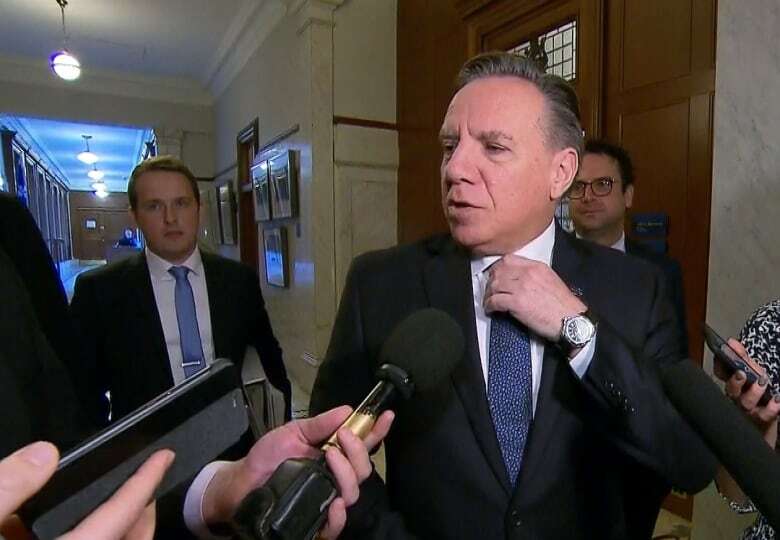 François Paradis wants to modernize the provincial legislature and says he's happy to hear debate on the issue. Right now, the rules state that those who attend proceedings must be "dressed modestly, neatly and tastefully." 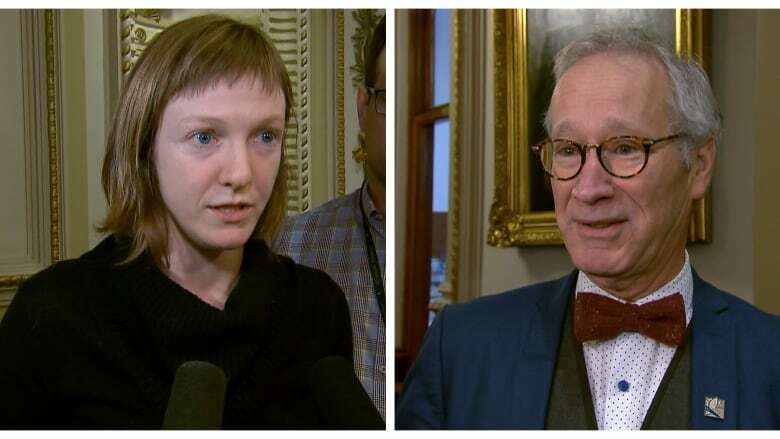 But elected officials from Québec Solidaire, a party that won 10 seats in the last election thanks largely to young voters, have been turning heads with their attire in the normally staid halls of the legislature. They've been spotted wearing jeans, Doc Martens and running shoes. For the time being, MNAs are being asked to maintain decorum and wear business attire. "I'm just being myself. There's no problem with that at all. 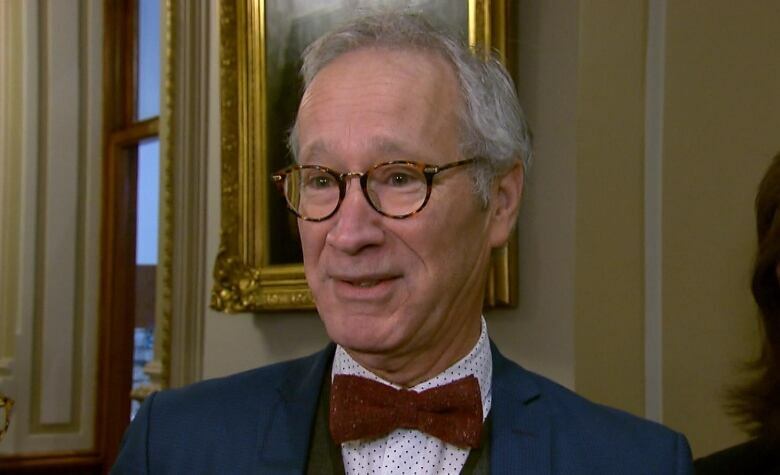 When you see what's happening around the world in parliaments that are trying to modernize, usually when they ask themselves the question, 'Oh what are we going to do with the dress code?' they're not [saying] 'Oh let's go back to something where we all have a uniform, black, where we're all the same.' No ... let's modernize the legislature so it can look like real life a little bit more." "We're not dressed for Halloween. We're just being comfortable. I think it's still elegant and fits within the rules of the National Assembly. But [some] people have a different understanding of the rules. When you arrive here, everybody says you have to wear this and that; it's really strict in people's minds. But you realize that, in fact, it's really loose." "For sure the National Assembly should take some responsibility and try to put [forward] a code that's more strict, because we are representing the people, the citizens." "The rules of the National Assembly are there for a reason. They're a part of tradition, they're based on jurisprudence and they point to the seriousness of our obligations ... here in Quebec City. So it strikes me as perfectly normal, within those rules, that there's a certain amount of flexibility that's possible. That's the way it should be." "The way you dress is also a message that you send to the public. In this institution, I think that neutrality in terms of message, except of the messages that we voice, is something that we should go by." 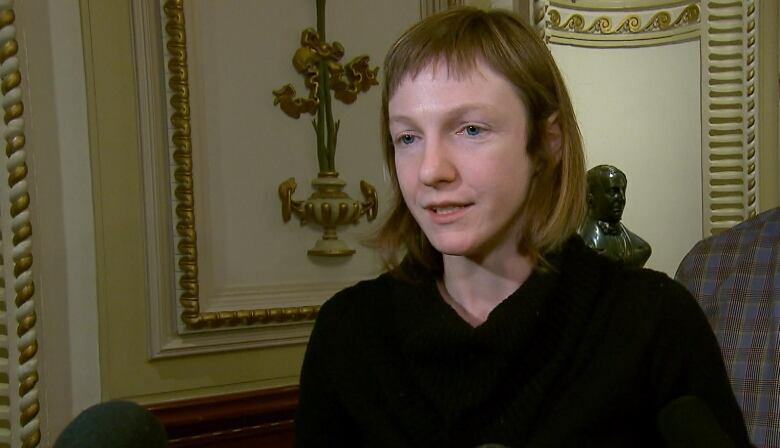 "I have faith in Mr. François Paradis, but I think there should be some kind of decorum. I think we owe that to the population."